KYU is a great kendama that is missing only few things to perfection. I fixed these little things in Ultimate version. I had occasional problems with a small cup on my KYU tama sometimes fell out of this cup. So the first thing I've done on the Ultimate version was that I hollowed cups. Second thing was burning ZOOT 3D strip that helps me with tama tracking. I made it deep, so you can also feel it. I also polished the upper half of tama and roughen the bottom part. The grip is not good as on R tama but it's significant improvement to normal version. 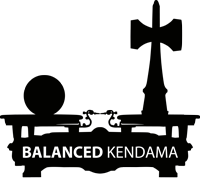 Finally I balanced the whole kendama. Enjoy it.